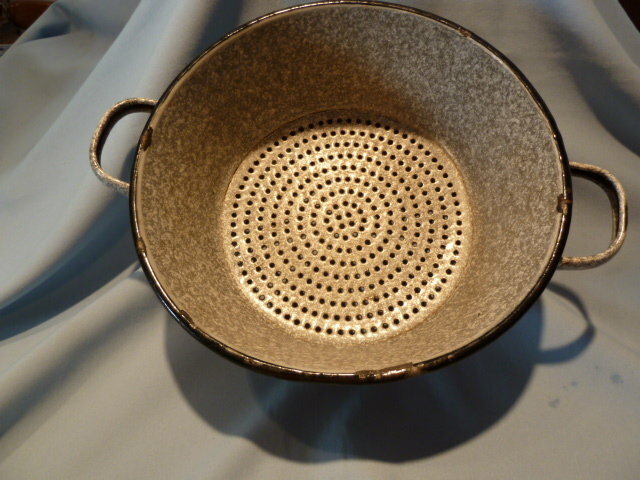 Antique German Graniteware Enamel Gray Mottled Colander with handles. 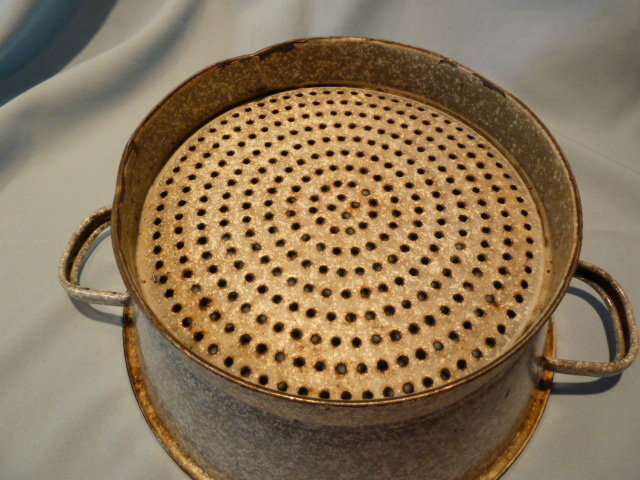 Measures 5 inches high, 14 across with handles with a 10 inch bowl. This piece has the normal rim chips, but has a nice smooth surface in Very Good Condition Plus. 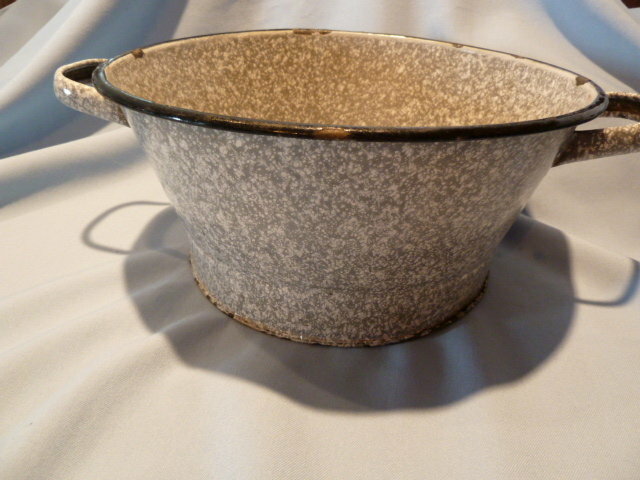 See our other fine graniteware pieces. We are happy to combine items for shipping when possible. 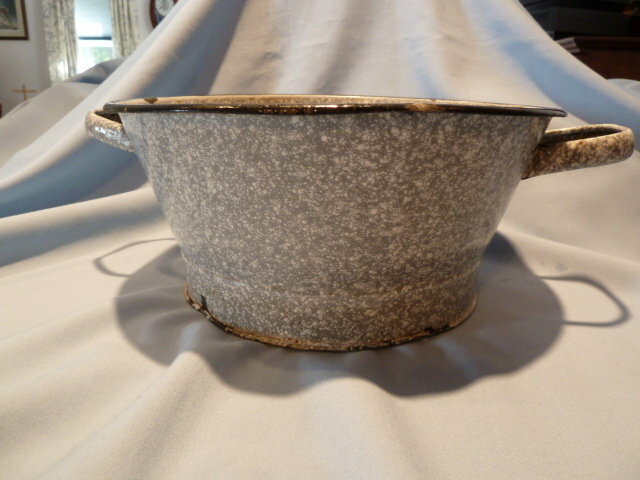 Items Similar To "ANTIQUE GERMAN GRANITEWARE GRANITE ENAMEL GRAY MOTTLED COLANDER W..."
A pair of Porcelain Lusterware, German Made Bedroom Lamps.